Berwick fashion entrepreneur Nicole Westmorland wants her customers to care for the planet while curating their wardrobe. In December, 23 year old Nicole launched her eponymous textile business – Westmorland. The business is based in two rooms of her parents’ Berwick home. She describes Westmorland as part of the slow fashion movement, where garments and homewares are handmade using environmentally sustainable practices or are upcycled from old garments or discarded pieces of fabric. Nicole said she had always wanted to launch her own brand, and after two years working for fast fashion giant Cotton On, she decided to take the plunge. She said she learnt a lot from the hugely successful Geelong based Cotton On, but found it “creatively crippling”. After two years in the fast fashion world, she took some time out to travel and “clear my mind” before returning home to launch her own brand. “I was working on it behind the scenes while I was working full time so I was very busy, but I was very determined and really want to make something of it. Unfettered by the demands and constraints of the corporate fashion world, Nicole felt free to create designs true to her own style which she described as “very young and bold, very vivid and individual”. “I don’t like to follow trends. I really like to concentrate on sustainability. There are issues with fast fashion which are not great for the earth. I try not to focus on trends, which is easy in terms of my style which is not very on trend or commercial anyway. The Westmorland ranges includes screen printed tote bags and t-shirts, cushions, framed lithographs , upcycled clothing and a category Nicole calls Dog Stuff – waterproof jackets and leashes for pooches. She said she was always a crafty kid. Her mum tells a story of when Nicole’s kindergarten teacher called her in to see a young Nicole at work. “Apparently I had an easel set up while everyone else was playing, and I was painting and I would stand back and look at the painting and go ‘no no no’ and go back to it and keep painting,” Nicole said, laughing. She taught herself to sew when she was in primary school, making little bags and simple tops for her sisters and friends. 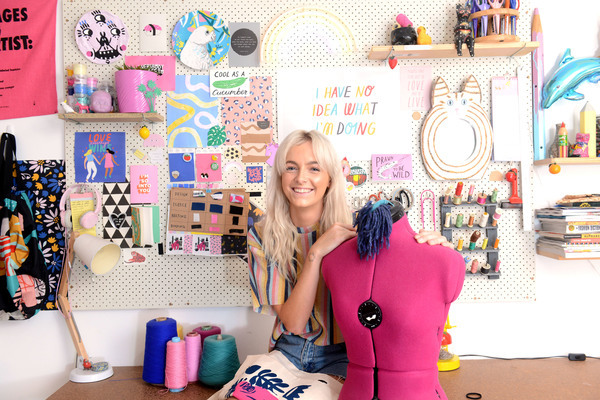 After doing well in her VCE at Berwick Secondary College, she studied for a Bachelor of Textile Design at RMIT, all the while dreaming about starting her own business. 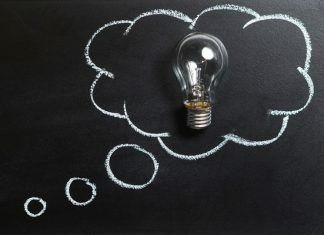 She is quickly learning that being in business involves more than being creative. She is slowly learning about finance and marketing. Nicole said she is “almost making money” after absorbing the usual start-up costs associated with a new business. The launch of Westmorland was held at new Berwick entertainment space, Poker Face, late last year. She is now concentrating on promoting the brand through Facebook, LinkedIn, Instagram and Pinterest. Nicole sent pieces of her work to carefully targeted “influencers” who have helped promote Westmorland on their feeds, among them a graphic artist based in Brunswick and a DJ and MTV personality. Sophia Amoruso, the founder of Nasty Girl and Girlboss Media is one of Nicole’s role models. The book Girl Boss sits on the shelf in her studio. In the next 12 months Nicole wants to narrow her product range to discover her “true brand”. In five years she wants Westmorland to be a well- known, specific product range “even if it’s just a range of t-shirts with my designs”. Nicole is determined to follow her passion wherever it may lead. “Everyone thought I was mad, quitting my amazing job and going into business. My biggest challenge is being brave.